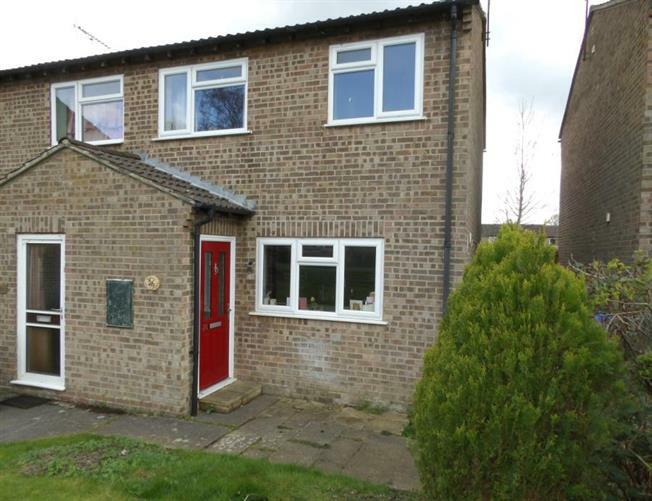 3 Bedroom Semi Detached House For Sale in Brackley for £220,000. Taylors Estate Agents are delighted to present this 3 bedroom semi detached home in Montabaur Road. The home is in good condition with ample sized front and rear gardens. The home itself comprises entrance, kitchen/diner, lounge, bedrooms 1 - 3 and a four piece family bathroom. The home has a fantastic access to the A43, A422, M40 and it is in close proximity to the Brackley Town Centre. Due the interest in the house already, viewing is highly recommended. Please call us on 01280 703594. Wood effect laminate flooring, two single radiators, double glazed window to side aspect and double glazed doors leading onto the balcony. Non-slip flooring, double glazed windows to side aspect, single stainless steel sink with an up and over stainless steel tap, splash back tiles, boiler, integrated stainless steel gas oven with a four ring stainless steel hob and over extractor fan. Fridge Freezer and washing machine which will be included in the premium. Laid to carpet, single radiator, double glazed window to side aspect. Laid to carpet, double glazed window to side aspect, single radiator. Three piece suite, white panelled bath with up and over shower, low level w.c and wash hand basin.